Manufacturers of fine candies since 1984, Anastasia offers Coconut Patties, Salt Water Taffy, Choc-o-Gators, Coco Bites, Key Lime Cookies, and Jelly Citrus Candy. Asher’s Chocolates is one of the oldest family owned chocolate companies in the U.S. For more than 100 years they have been perfecting their traditional line of chocolates as well as pioneering some of the finest sugar free chocolates on the market today. 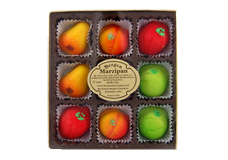 Bergen Marzipan is the largest domestic manufacturer of Marzipan and offer traditional as well as creative Marzipan products. All Bergen marzipan is made from only the best ingredients and all are Kosher Pareve. 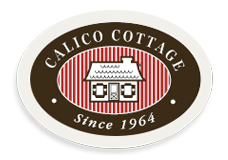 Founded in 1964, Calico Cottage, Inc. is the world’s largest provider of fudge-making ingredients, equipment, and merchandising expertise. 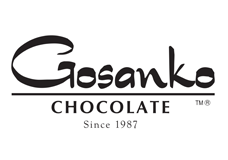 As a wholesale chocolate company, Gosanko Chocolate Art has found its success in creating molded gourmet chocolate candy, made exclusively with Guittard. 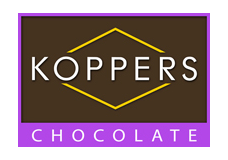 Koppers is known for their incredible liquid-center cordials (over 40 varieties) and for inventing Chocolate-Covered Gummi Bears (now in Milk and White Chocolate) and over 300 uniquely delicious panned chocolates. 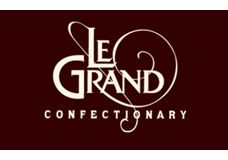 Le Grand’s distinctive dome-shaped truffles include traditional truffle ingredients like those made in Paris; dairy cream, real butter, quality chocolate and the finest flavorings and liquors. 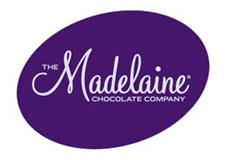 The Madelaine Chocolate Company features a tremendous assortment of both expected and unusual foil-wrapped chocolate molds and chocolate covered nuts, fruits and specialty centers. 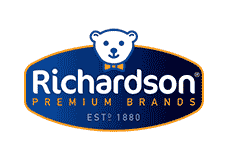 Richardson offers Bogdon Reception Sticks, Beechie Gums, Dryden and Palmer Rock Candy, Gravymaster caramelizing and seasoning sauce, and Richardson Buttermints. 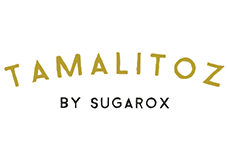 Tamalitoz is the sassy, sweet and tangy Mexican inspired hard candy with just the right amount of spicy kick. Made in San Diego, California with a mild blend of chili powder, lime juice, and sea salt–a fiesta for your taste buds. Hot Chocolate on a Stick, Kika’s Salted Caramels, S’mores Kits, Caramelized Graham Crackers and more! The freshest fruit is picked, freeze dried and then bathed in dark chocolate. 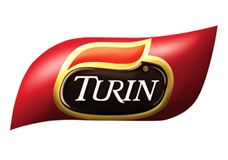 A healthy snack disguised as an indulgent treat? Or an indulgent treat disguised as a healthy snack? You decide! 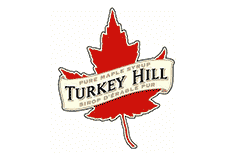 Turkey Hill has been a leader in the Maple Syrup Industry since 1976. They offer a variety of Maple Candy, Cookies, and Maple Syrup. Vidal Confectionery or Vidal Golosinas is a Spanish manufacturer of liquorice and gummy candies. 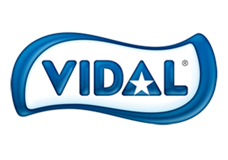 Vidal is one of the biggest manufacturers in Spain, and the 81st largest candy company in the world.